Authors compiled an electronic catalogue of papers in the 140 issues of "Geomorphology" published during 35 years since its foundation. It includes 2277 items of 1457 authors from more then 80 cities of the former USSR and abroad. Aside the bibliographic data catalogue comprises information about authors and their organizations, as well as the thematic set of papers. Papers on historical-genetic and morphostructural problems have been declined in number by 8.6% and 12.1% correspondingly over 35 years. The number of papers on dynamic and ecological geomorphology has grown approximately by 12 and 10.1% over the same period. The list of 15 geomorphologists having the most number of publications in the journal is compiled. D.A. 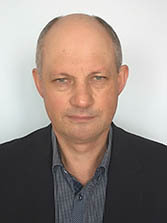 Timofeyev (81 contributions; Institute of geography, RAS), R.S. Chalov (56; Moscow University), and A.P. Dedkov (51; Kazan' University) head the list. There are 9 scientific centers within the Russian Federation which contribute most into the solving of geomorphologic problems. The main centers are Moscow (64.9% of all papes), St;-Petersburg (5.0%), Kazan' (4.8%) and Irkutsk (4.5%). The relief of depressions and ridges in the alpine type middle mountains of Pribaikal'e was analyzed in the context of N.A. Florensov's concept of geomorphologic formations. Author aimed to develop a new doctrine, which would be able to overcome the one-sidedness of geomorphology. The investigation of refuse piles of more then 40 gold placers at different stages of mining is carried out. The morphologic and morphometric features of piles are described as well as their dependence on mining technology. The resources of piles for subsequent exploitation (their gold content) were evaluated. The relationship between riverbed profiles and the structural components of small river basins has been established. The author has developed a procedure for estimation the role of slopes, ravines, and gullies in riverbed formation and has applied it to a specific river. The procedure was used for optimization the meliorative measures at small river basins. Layer by layer dating of young (the last 30 years) alluvial deposits was carried out. The sedimentation rate within the Yenisei flood plain after the constructing of the Krasnoyarskaya water-power was evaluated. It reaches 0.5-3.3 mm/year. Digital database and theoretical height distribution curve obtained from energetic model were used for hypsometric analysis. The possibilities of this approach are discussed. Three phases of sea level rise exceeding recent level by 6-10 m are recorded in the deposits of three marine terraces (with the heights up to 12-15 m) at the continental coast of the Japan Sea. Thermoluminiscent dates, spore-pollen and diatomic complexes of these terraces allow us to compare transgressions with stage 5e and last episodes ol the stage 5c. The wide occurrence of coastal deposits with moderate-cold pollen complexes above recent sea level was established. This fact contradicts the apprehension that peaks of transgression coincide only with warm climate phases of Pleistocene. Our results are confirmed by A.N. Molodkov who proved that during 130-75 ma there hac been a transgression with insignificant fluctuations of ocean level. A map of Antarctic subglacial-submarine relief has been compiled on the base of system-morphologic principle. Elements of subglacial-submarine surface represent the contents of the map. These elements include five types of structural lines (crests, talwegs, and others) and simple elementary surfaces, which are bound by structural lines and differ from each other by their place on the profile and relative steepness (14 types) and by their plan shape (3 types). Morphological and topological analysis of the elementary surfaces has helped working out the first geomorphologic regionalization of Antarctic according to system-morphologic principle. The same elements in the different regions differ in their morphometric features and in their role in the structure of subglacial-submarine surface. Recent mechanical denudation rate in Alps, Carpathians, West and East Caucasus, and Himalayas was estimated by the sediment discharge data. The values obtained were compared with tectonic uplift velocities. Everywhere within the axial zone of the mountains the tectonic uplift predominates denudation in ratio 1.8:1 - 6.4:1. This indicates the continuous upward evolution of mountains. Recent rates of mountains uplift are higher than average rates for the whole neotectonic stage. The morphostructural regionalization of Pechorskaya plate is carried out. The main morphometric features of morphostructures are described. Neotectonic movements along me faults were revealed by morphostructural analysis. The catch areas of sedimentation were found within the Gusinsky graben. Hence, taking into account the restraint of South-Novozemel'sky trough and hydrodynamics of the region, one may suggest that sedimentary run-off from the Pechoromorsky shelf is limited. The mechanisms of river islands formation and evolution were investigated in the sector of the braded channel of Middle Ob'. The duration of different stages of their development and their age were evaluated. Morphodynamic types of the channel, processes of lasting accumulation and water regulation in the dam lake of Novosibirsk hydroelectric plant have an appreciable impact on relief of the islands. КНИГА РАЗМЫШЛЕНИЙ ИЛИ КНИГА, УТВЕРЖДАЮЩАЯ НОВОЕ НАПРАВЛЕНИЕ В ГЕОМОРФОЛОГИИ? О книге "Чкловек. Общество. Рельеф"